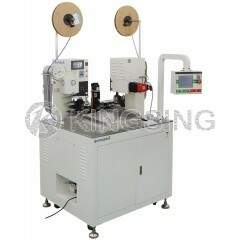 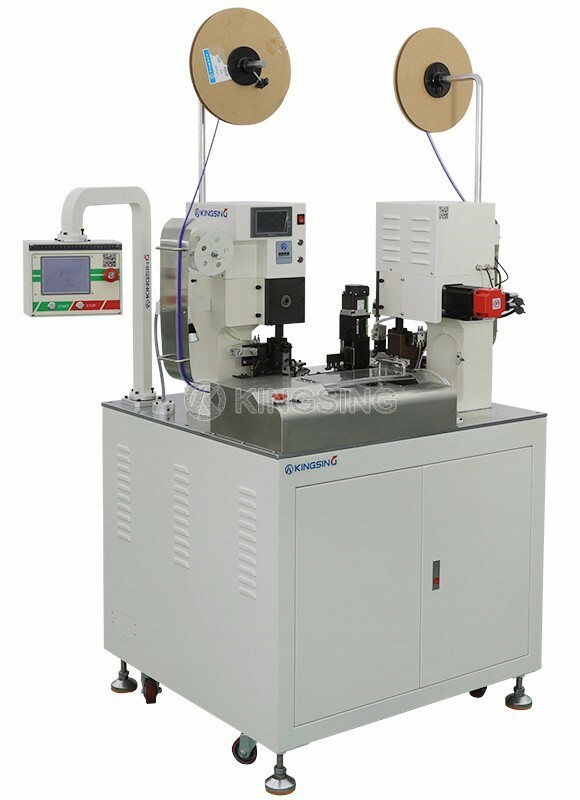 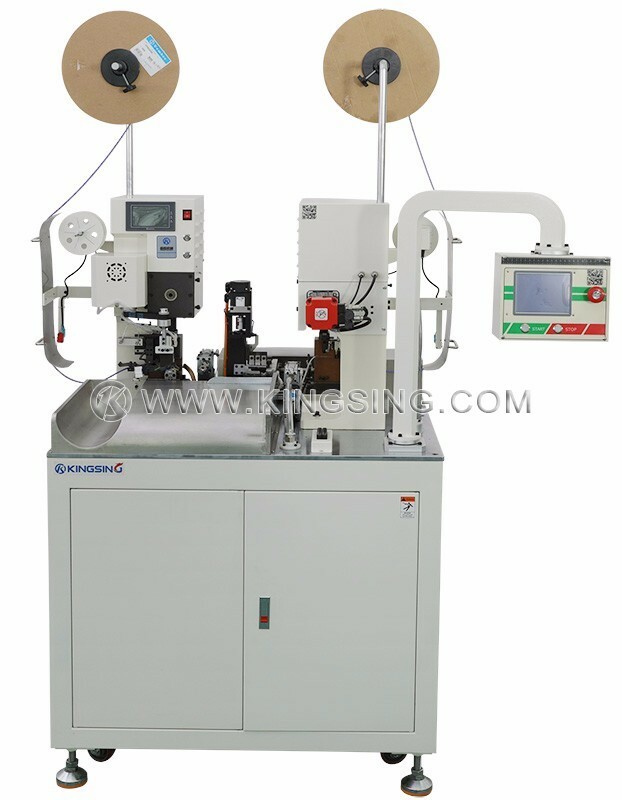 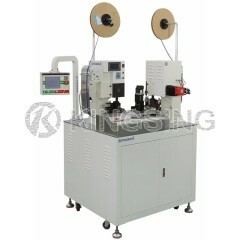 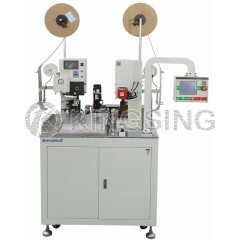 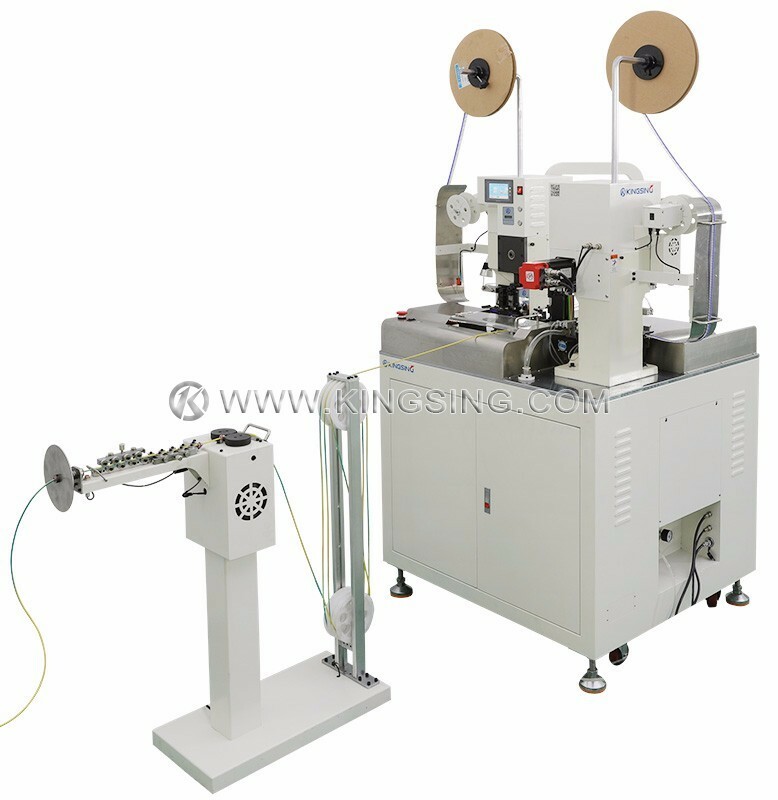 This is a fully automatic terminal crimping machine driven by servo motors, it's especially designed for crimping tublar terminals and insulated terminals, thanks to the rotary wire twister, the both ends can be twisted before inserting into terminal hole, the twisting function helps to improve the precision of insertion. 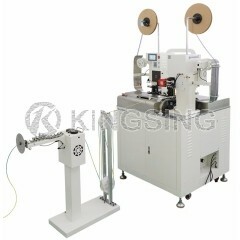 It's also suitable for crimping normal side-feed and straight-feed terminals. 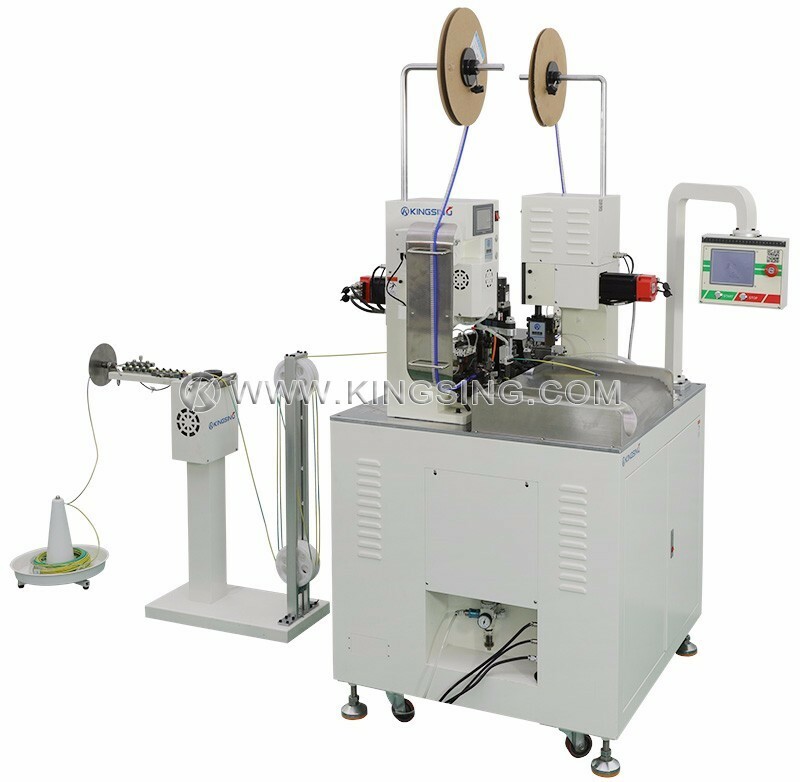 The both crimping machines are also driven by servo motors, therefore the crimping stroke can be set in program freely, there is no need to adjust any screws to modify the crimping stroke. 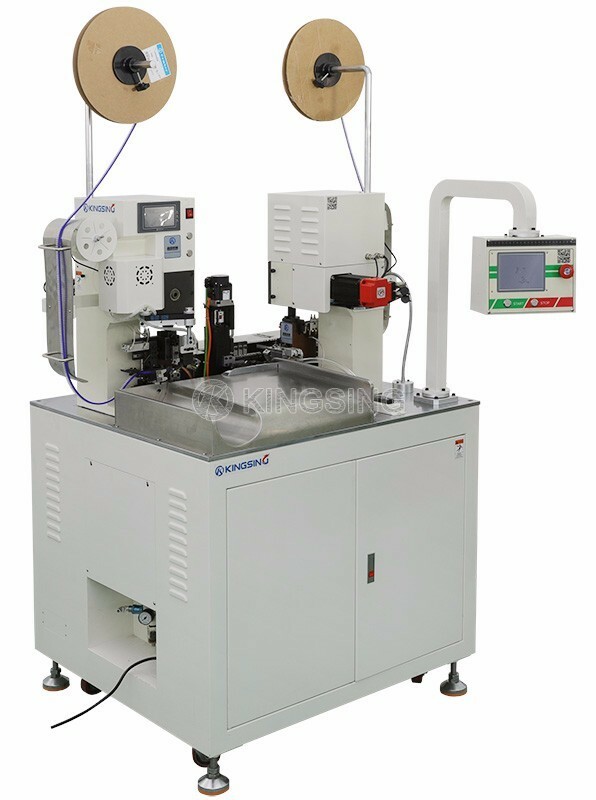 The wire feeding unit is driven by four wheels, it helps to reduce the damage to wire outside insulation and improve feeding precision.